My creativity, discipline and love of baking drove me to become a Wedding Cake Designer and Sugar Artist and my career as Emirates Flight Attendant, Beauty Therapist and Personnel Manager of one of the UK’s biggest retailers, empowered me to take the Mama Cakes Experience to the highest level of excellence. I soon realised that it’s not just eggs and flour, there is so much more to it than that. It’s the whole experience. Every wedding cake for me is personal from the flavours to cake decoration. That’s why it is very important to really get to know you and how your wedding day has been planned through your eyes, as this is your one-day to shine. Your fine wedding details really matter. I have been known to sit with a magnifying glass to capture even the smallest detail that we can use within your cake design. As a result of our exclusive approach each cake design is unique. 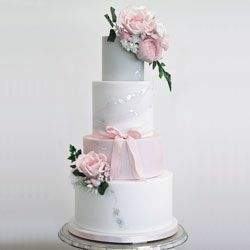 We believe your cake design should be truly yours and it should be one of the most enjoyable memories of your wedding. It’s a real passion for us to be different and of course, deliver exquisite and elegant cake designs; delicate colour palettes; stunning sugar flowers as well as our irresistible cake flavours. Looking For The Perfect Wedding Supplier In Cumbria?